Zach starts pre school in September and I hoped that we would have potty training well on it's way by then. I am in no way pushy when it comes to these things, ,the last thing I want is to pressurise him if he isn't ready. I do however think it is important to make potty training seem like a natural progression for him by making it available for whenever he wants it. Zach has been using a potty for well over six months now on and off. When we were offered a My Carry Potty to review I was intrigued to see how useful it would be and whether or not it was really worth buying. My Carry Potty is one of the easiest ways to introduce your toddler to potty training. The award winning My Carry Potty is leak proof, hygienic and is easy to carry. Kids will love the funky, bright designs. We received the My Carry Potty in the Bumblebee design. Straight away you can see it is a great quality, well made potty. 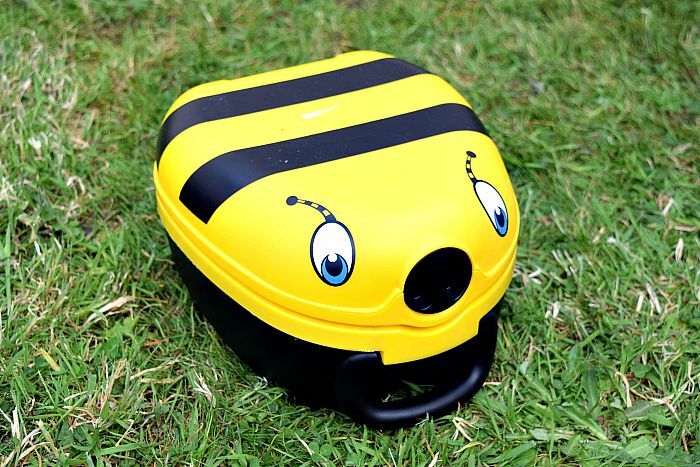 The Bumblebee is very friendly looking with a cute face to appeal to your toddler. The nose is in fact the latch to open the potty and allows it to be tightly sealed and leak proof. Zach really likes his 'Bumblebee potty' and happily uses it around the house or even in the garden on sunny days. He is still struggling at the concept of full time potty use though. He is fine when left without a nappy or pants on but as soon as you put pants into the equation he gets confused and has accidents. So although I had hoped to take it out and about a lot more for testing purposes we just are not ready for that yet. It has been perfect for the house, shutting it means Elsie can't get to it before it is emptied but Zach will tell us he needs a wee whilst at home for us to open it for him. I also find the fact that it closes great for use in the garden too. If him and Gracie are playing in the garden while I am dealing with Elsie inside, he will use it and pop the lid back over which means we get no stray insects or grass inside nor will he tip it over the grass that they are playing on. 9 times out of 10 we empty immediately anyway but there could be times you have to use it and seal it until you get somewhere suitable to dispose of the contents and clean it out. It is so easy to empty and clean between uses. I find an antibacterial wipe or two can clean it up perfectly and although there is a seal that keeps it leak proof, it hasn't got any awkward to clean ridges. I had another thought too after receiving the potty. Gracie is fully toilet trained day and night and will get herself up in the night to go to the toilet. 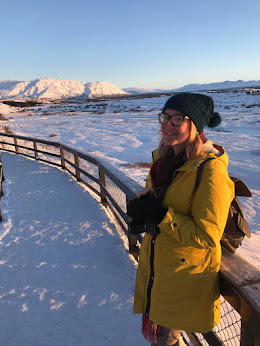 We are going on our first ever camping holiday next month and although she is great at asking to go, I am not sure how close we will be to toilets for her in the night. So I will definitely be taking the My Carry Potty along with us and hopefully they will both use it! I think the price is very reasonable for the quality and practicality of the product. Many other travel potty's require you to buy bags to pop inside and then you need to buy refill bags etc. Whereas, the My Carry Potty which starts from £19.99 isn't cheap but is worth investing in and once you buy it there are no sneaky extras that need buying in order to use it. 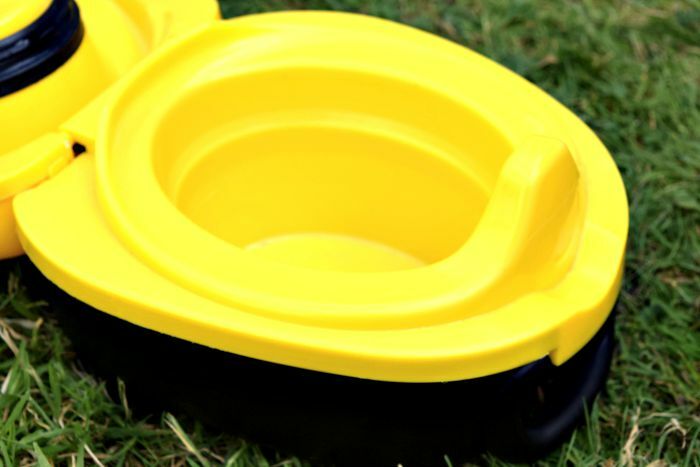 Overall, we are very impressed with the My Carry Potty. The only slight issue we have had is how if it is left shut it isn't easy for a child to open it themselves so if your child won't tell you when they need to use the potty it is best that you leave it laying open for them. We don't have that problem but it is something I had noticed. The My Carry Potty is available to buy at www.cheekyrascals.co.uk from £19.99 - £24.99 and at the moment you can get a free potty training book when you order.